Every year we travel to Bolivia to work with a great team. For one week, people use their vacation days to serve others. The other 51 weeks of the year, they serve here. In these United States. On their jobs, in their communities, their churches, and often in an area outside of a 100 mile radius. And we see God. 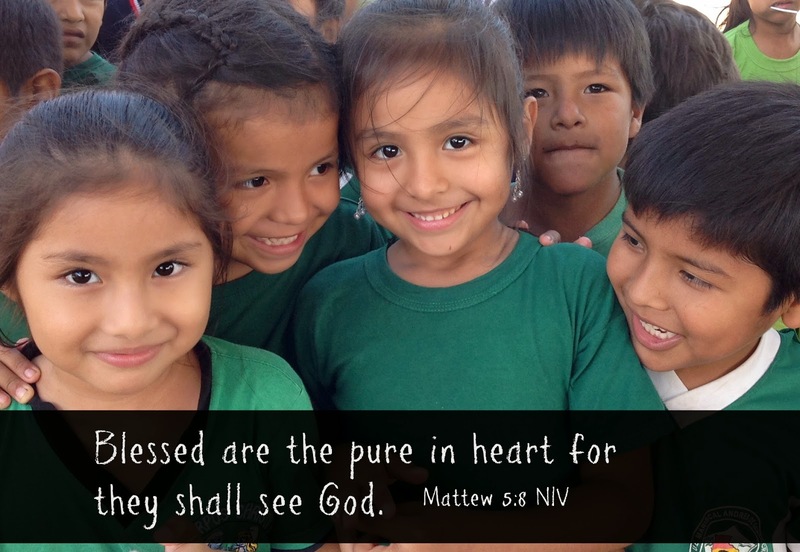 We see God in the “pure in heart” of those who live every single day–a bit different than we. It’s slower. There is no rush to the mall. No rush to the market. No rush to buy. Pureheartedness. Is there such a word? If not, let’s make one. The children showed us theirs, as well as the adults at the church. Purity of heart. More than one nationality working together in a tiny, barely ventilated kitchen-without any of the modern conveniences… I captured pureheartedness at it’s ripest. I was unsure of her age–probably as much as she was of mine. I didn’t ask her age–but her name was Christina and she was beautiful and her heart was full of beauty. She was a taxi driver. She had taken a week off from her job so that she could work at the church the week we were there–she worked both in the kitchen and with the construction team. She begged me to go to her house–and I would have loved to–but I had to explain (through our translator) that I couldn’t leave our team. Her face momentarily reflected her disappointment, but quickly wreathed again in smiles, “mañana”. Tomorrow. But, I knew that tomorrow I wouldn’t be able to either. Tomorrow, I would be at the children’s crusade in Don Lorenzo. I learned from them not to live in the daily disappointments–but to live in the blessings of each moment–of each day. The pace in which Jesus and His disciples traveled and ministered is the same pace they live every day. Not to miss an opportunity. We begin to wonder a bit when we don’t hear back from our dear friends there–but then we each remind the other of where they are-and how they live. They are relishing a blessing. Living in every moment of the day-not skipping ahead to the cake, but savoring the frosting. Blessed are we –who get to participate in their lives, even for one week. Blessed are those who take their vacation time to do the same…they come away with much more than a stamp in their passport-and a few souvenirs. They come away with a new perspective on life. On the blessing that are truly valuable. And it changes them. And their pen is poised at the ready–to sign up again. Even before we announce the dates, or the location. “Sign me up!” are three words I have heard over and over since our return. Blessed are YOU who gave so that others could go. Your gift of money–or school supplies changed more than those we blessed–but it changed each person who participated. It was Melanie’s birthday. And…it just so happened that I had a gift for a little child. I’m always on the look out for things to give–and I had ordered a book that taught a child some English words–I had intended to give it to someone for their baby–to learn Spanish–but I never got around to it–so when I saw it on my shelf at home, I grabbed it up and tucked it in with my clothes. Melanie turned four. 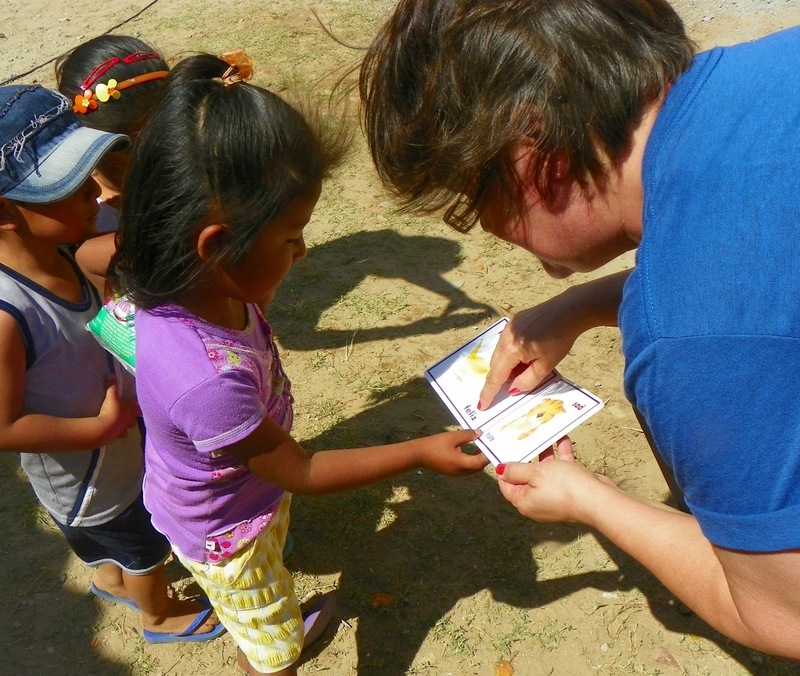 This little book will help her learn a few words in English–hopefully, when we return, we will know a few more in Spanish! As we plan–and prepare for the “next steps” God has lined up, pray for us and with us. So that we not miss an opportunity to share His love with the world. Both here–and there. © 2014 Angie Knight- The Knightly News. All rights reserved. This entry was posted on Sunday, October 12th, 2014 at 8:33 am	and posted in Mission Trip, Missions. You can follow any responses to this entry through the RSS 2.0 feed.